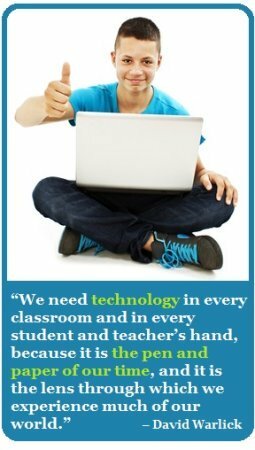 Some homeschool computer programs serve as a perfect fit for families looking for an online middle school for 5th, 6th, 7th and 8th grade. Middle-school students are typically old enough to do much of their school work independently but may need some assistance from teachers and/or parents on difficult lessons. Most parents look for online homeschooling programs that allow their children to receive instruction from well-trained teachers in all of the standard courses as well as some electives. 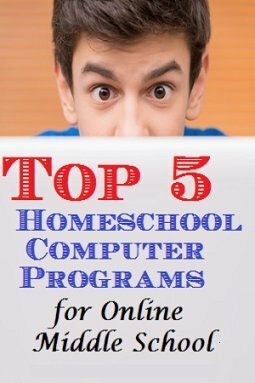 If you are looking for an online program for your middle schooler, keep reading for an introduction to five of the best computerized homeschool programs for this age group. The Division of Continuing Education at Brigham Young University offers online middle school courses, but students have to take final examinations through a designated testing center or with a test proctor. All courses are taught by certified instructors and can lead to transfer credit for students interested in attending college or other schools after completing some courses online. Unaccredited schools make it difficult for students to transfer credit earned online to other schools, but BYU is fully accredited and most educational programs will accept transfer credits. If you want to feel confident that your child is learning everything they need to successfully pass through high school and into college, this online independent study program is a great homeschooling option. The downside to this program for many parents is the expense. A reputable name and intensive online courses come with a price tag, and that tag reads more than $100 for a half credit hour with this homeschool program. This is a unique online homeschool program because it allows real schools from across the country to offer online education opportunities to students struggling to learn in their local schoolrooms. Teachers work closely with students through online chat and the telephone, and some students may meet with teachers in local school buildings as well. This allows you to take a step back as the parent while your child learns with the guidance of an actual teacher. Consider this teacher-guided homeschooling with parents helping in the background through motivation. If you want a vigorous program like the BYU online independent study program but it won’t fit your budget, this is a comparable program that comes fee-free to all students. If you aren’t concerned about selecting an accredited middle school homeschool program and don’t mind that your middle schooler does not interact with a certified teacher, you may consider this homeschool computer program for language arts and math. Those two subjects are taught in-depth and to state standards, but students will not learn other subject matters with as much depth. This is an online program that tracks progress automatically which makes it really nice for parents. Some of the work for this program may be printed out and completed, so you may need to grade some work yourself. This is definitely a more hands-on program for parents than some of the other options listed here. The fee is affordable and is charged on a monthly basis with a money-back guarantee in place. Are you looking for an accredited program that offers rigorous instruction with the active support of highly-qualified teachers? If your answer is yes and you also want your child to benefit from a Christian-based education program, the Alpha Omega Academy fits your criteria. This program provides middle school as well as high school courses, so your child can continue on to receive their diploma from the Academy if they choose. Every student can connect with other students online, and all instruction is based on the Bible and keeps within the Christian worldview. Teachers are available online, so you never have to worry that your child will have unanswered questions. Since the program is accredited, it is more likely that your child’s homeschool-earned credits will transfer to other public schools, private schools or colleges in the future. This program is offered by Alpha Omega Publications just like the Alpha Omega Academy, but it does not come with the teacher support and accreditation that comes with the Academy. If you are looking for a more affordable option that is Christian based, you can consider this an alternative to the Academy. The work is almost identical. You must sign each of your children up for this program individually, and they will have 18 months to complete coursework once they are registered for it. Five main subjects are taught for each year of middle and high school, including a course on the Bible.